A busy and successful week-end for Nordic teams in the Boston area led by our 14 Premier Boys (pictured). After wins over Valeo Premier (MA) and Valeo Somerville (5-0 and 6-1) 14 Premier Boys took the Championship with a 2-0 victory over FSC (CT). 13 Premier Boys also advanced to the final with a 3-2 win over Liverpool (MA), 4-0 over CSU Elite (MA) and a 1-1 tie with NEFC Premier (RI) before falling 5-0 to a very strong FCUSA team (MA) in the final. 18 Premier Boys continued their strong showings in recent College Showcases going undefeated in their 3 games and rising to a Regional ranking of 16th! A 2-0 win over NY Elite was followed by a 1-1 tie with Liverpool (MA) and a 3-1 win over SWSC FC Toga (NYE). 15 Premier Girls also went undefeated, going 2-0-1 in a strong group with a 3-0 win over Celtic (CT), 1-0 against FCUSA and a 1-1 tie with NEFC Premier (MA). 16 Premier Girls beat CSU Premier (MA) 2-0, lost 3-1 against NEFC Premier (MA) before rebounding with a 5-0 victory over Burlington Ajax (CT). 18 Premier Girls came up against some tough opposition in their College Showcase bracket with 2-1 and 3-0 losses to a pair of NEFC Elite (MA) teams before finishing off with a 5-1 win vs Seacoast (ME). 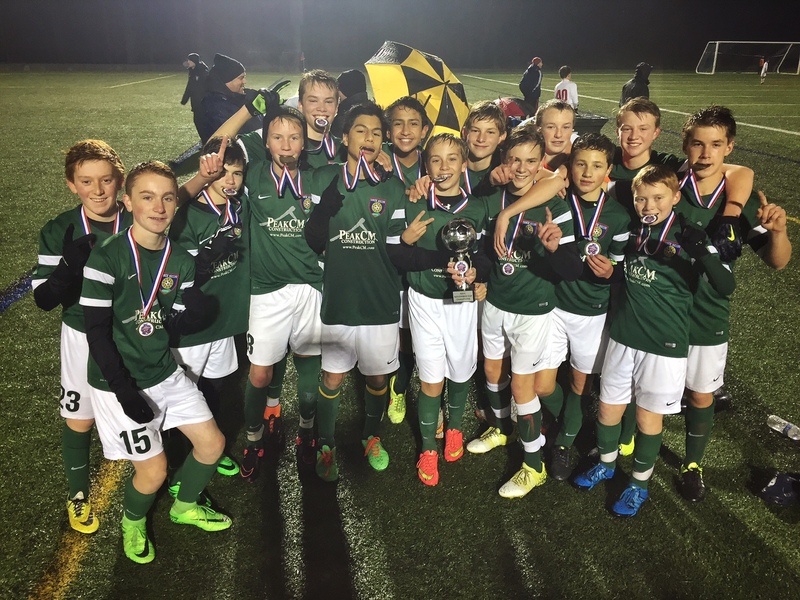 Our younger Center of Excellence teams had a strong showing in the GPS Thanksgiving tournament. After a couple of convincing wins for our 10 Boys (10-2 vs Seacoast (ME) and 7-1 vs Revolution Utd (CT)) a tough 5-2 loss against GPS Boston Elite. 11 Boys went 1-1-1 with a pulsating, end to end 5-5 tie with GPS Boston Elite, a 4-1 win over Seacoast (ME) and a tough 3-2 loss vs GPS South Elite (MA).